The Cambridgeshire born left winger joined Diamonds in December 1993 after agreeing an eighteen month deal and a reported £12,000 transfer fee with Cambridge City. The Lilywhites had just a great run in the FA Cup, mainly thanks to Paul, before losing out to Hereford United the previous month, and Diamonds were looking to strengthen their squad. 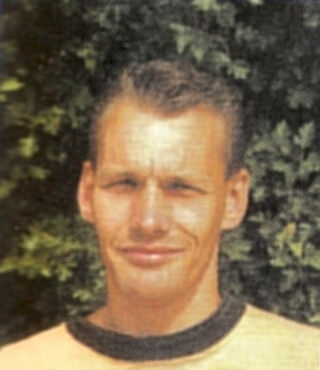 Paul had started his career with Newmarket Town before moving on to Sudbury Town, prior to joining City. He played in the majority of the games in the remainder of the 1993/1994 season, helping the Diamonds to clinch promotion to the Beazer Homes Premier Division. A deal was reached with Cambridge City in May 1994 however, and he rejoined the Lilywhites in an £8,000 deal – a City club record fee. From there he continued to play in Cambridgeshire, firstly for Histon, and then for Soham Town Rangers, Watton United, before returning to Soham Town Rangers in July 2000, where he finished his career. His son also joined Soham Town Rangers in May 2008.